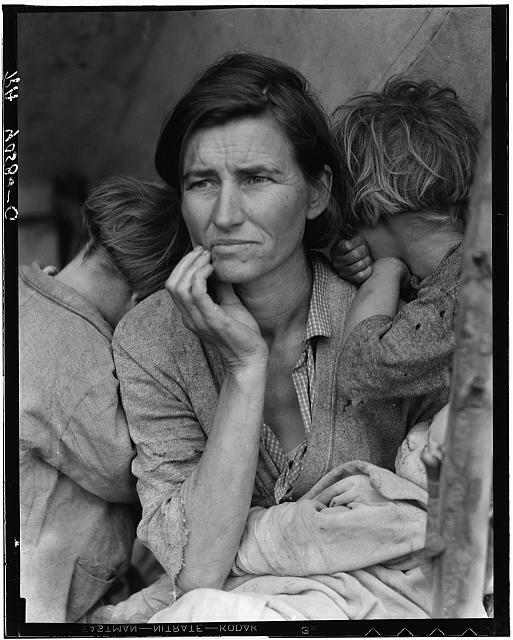 ‘Migrant Mother’ is one of the most famous images in the world taken from a series of photographs that Dorothea Lange made of Florence Owens Thompson and her children in 1936. 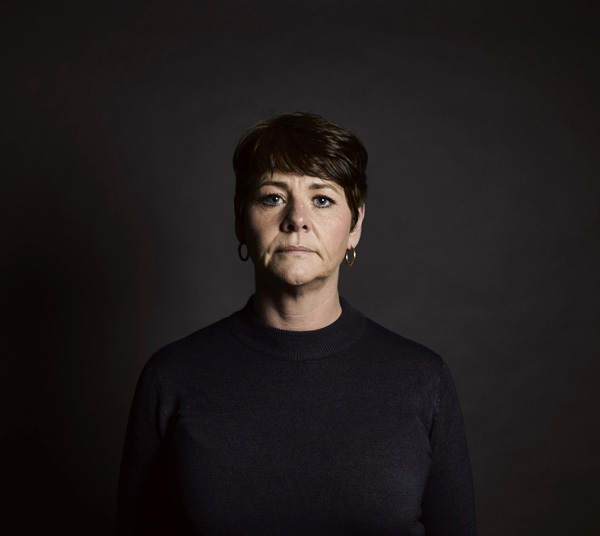 I have been reminded of it during a shoot with Karin a victim and survivor of child sexual abuse and viewing an archive portrait of a mother and child discussed recently with Guardian Weekend Magazine picture editor Kate Edwards. I suppose I am comparing the literal starvation and suffering of Lange’s subject with the emotional malnourishment I felt from my contemporary sitters. Migrant Mother resonates with contemporary society more so now during our own version of what depression is but our austerity is only felt by those not often placed in the spotlight and when we do see those who suffer, they are often categorized as somehow complicit in their plight. 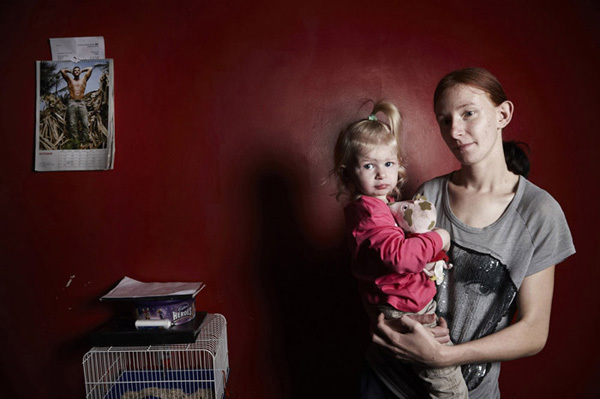 My images of the underclass in this country as represented here by the image of a mother and child (below), shot for the notorious ‘Benefit Street/CH4’ have been accused of objectifying poverty, whilst the same images of suffering from abroad seem more palatable. Perhaps we are a little uncomfortable facing up to the reality that there is genuine poverty here (literally and emotionally) when we appear to have so much and we are often quoted as being the 5th largest economy in the world. Update 24/09/2018 after Barbican retrospective 'Politics of Seeing' - Lange was commissioned by the visual encyclopaedia of American life in order to promote the New Deal, the images were presented in context of a single narrative to persuade the country of a political argument. The plight of white Americans particularly shocked the country and contributed to change. The images of the hardship of white people only previously reserved for 'other communities' must have been shocking at the time. The focus on white as opposed to the expectation of black suffering in images, I suggest, drew attention to the plight of the country in a way that images of other races would not. The tragedy here is in the expectation of the representation of black poverty in images as 'not as shocking' as white. The humiliation is real and exaggerated if the expectation that as white you have an inherent advantage. Lange is not so brutally objective and her politics masks this unique image of white humiliation with some sympathy and is presented by curators as 'stoicism' but I suggest the expression in Migrant Mother is despair. Sometimes I am brought into contact with an emotion exuding from a subject that is so powerful and complex it changes the physical nature of the space in that moment. As they face the camera there is an exchange of mutual needs; to be seen and recorded. I never quite know when it will occur but it is the Holy Grail. “I saw and approached the hungry and desperate mother, as if drawn by a magnet.” – Dorothea Lange. The convention for the representation of a victim especially in cases of sexual abuse is the silhouette or blurred out face, their voice distorted or replaced by an actor on the news. 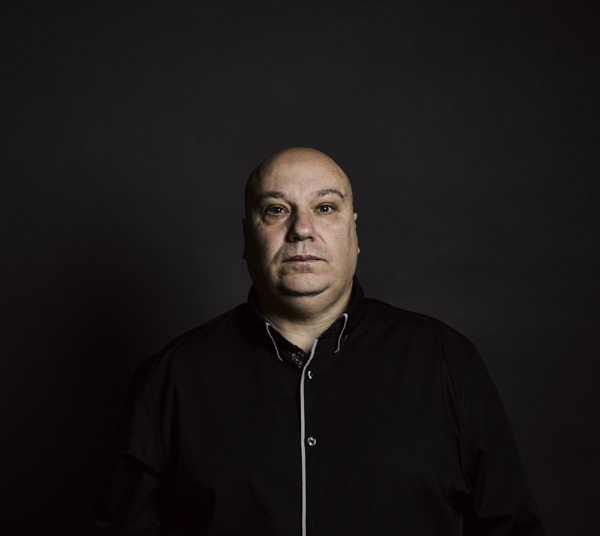 Here though the subjects from this new series of images created with the cooperation of Minnow Films and the BBC, present themselves defying this stereotype and for the objectification of the lens; out of the shadows and into the light. 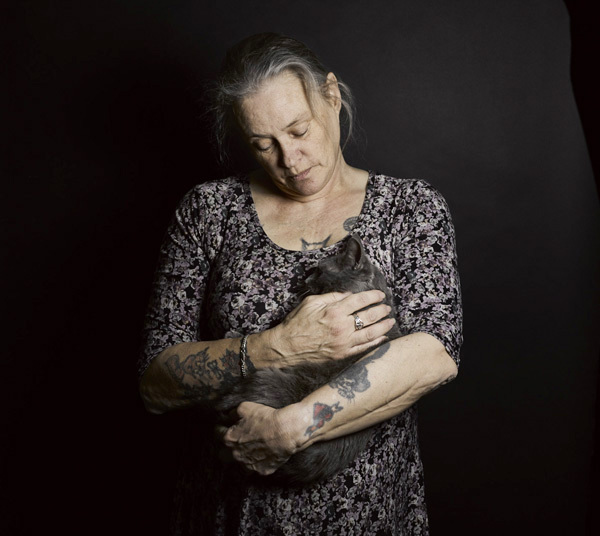 The portraits are a recognition of their role as victim and survivor but beyond the terrible narrative that has blighted their childhood and inevitably influenced their adult lives, they are more ambivalently representative of a shared reality for all of us. The words 'victim' and 'survivor' whilst conventionally useful in defining the terms through which we view the subjects as an item of news, continue to acknowledge the presence of the perpetrator and this goes some way to explain the reticence many have in coming forward to be defined in these terms. If we remove the narrative of these sitters we are presented with an iconography of ordinariness, the presentation and celebration of the relatively mundane subject, barely noticed as we pass each other in the street but frozen here to be scutinised as we might do ourselves in the mirror. Can our story be read in the way we choose (consciously or otherwise) to present our personality to the world? How has our unique response to the most difficult moments in our lives affected how we are seen and accepted by ourselves and society? In the final edit I am hugely challenged by this notion of a curated defining moment. It has taken the subject of childhood sexual abuse to bring this to the forefront of my mind. I have included a selection of images (below) that satisfy the photographer in me but they inevitably lack fairness. 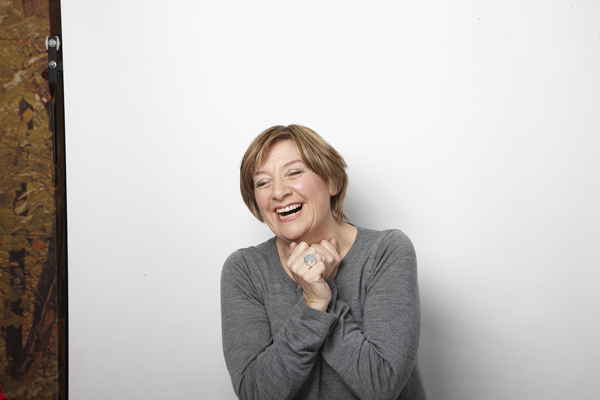 The invitation is to scrutinise each subject and form a relationship with them in relation to our own life experience. Not purely as subjects of some distant sensational news story but as representatives of our own emotional possibility. The complete series hopefully should act as a form of human typology, the shared experience being the timeline of our growth into an adult. The horror that defines them in is context of abuse, is only a small part of their lives up to this point; in many cases they have relationships and children of their own. We should not allow ourselves to be entirely defined by the past but accept the good and bad as part of the experience that shapes us and celebrate the great variety of human experience. Thanks to all for your trust and support. 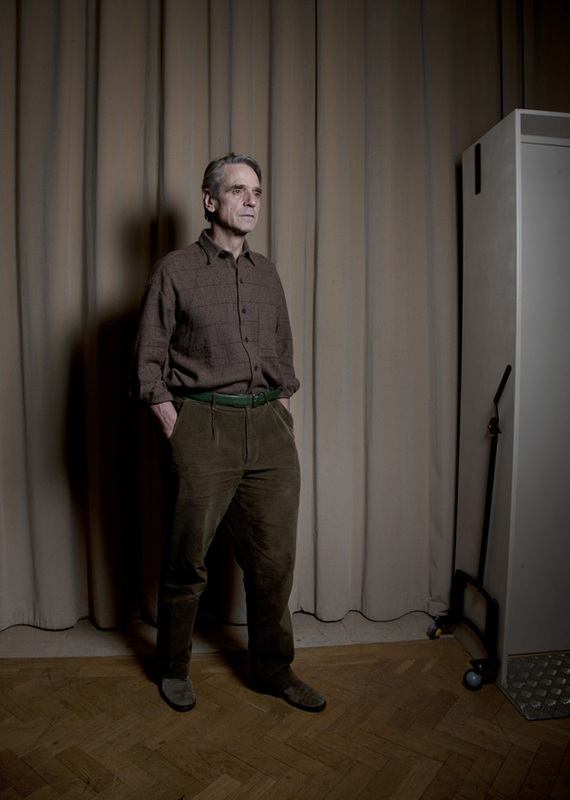 I do bang on a lot about the client photographer relationship and this new portrait of Jeremy Irons shot during a voice recording at the BBC is another example of that empathy, trust and support. An image that I perceive is successful is read purely emotionally in the moment and equally further down the line with some objectivity. I consider my work in hindsight as if it is not mine, the longer the gap between the energy of the shoot the better in judging a work's value. I allow my emotions to shape the reality I am in in the moment so my perception in this state cannot not be trusted, I am possessed and this energy leads to the creation of the work that represents me. I don't apologise for the composition that I always find my way back too, those of you that know me , understand this is connected to my adopted experience and it is a genuine and therapeutic affinity, which began in my original relationship with Jan Van Eyke's Arnolfini Marriage and later with the objectivist Dusseldorf school. This image (as with all work I consider most successful) is taken between one certainty and another, in the literal and creative journey from one space to another. I see this new space and demand that the subject place themselves within it, and I am consumed by a need and this is a dangerous moment for anyone who might be in my path, I am not sure what I would do if anyone said no to me in these moments; burn their house down, hire a Ukrainian hit squad or throw a massive tantrum like a 6 year old (which I have done to the bemusement of all around me). Mostly though everyone can feel the molecules in the air change and go with me. Mr Irons included. In these moments the subject is less complicit, the process is now less collaborative as I begin to shape all the elements to satiate my deep emotional needs in the moment. This is not a negotiation or discussion, the assistants are prepared for these moments as these are the times, the narrow windows, the brief glimpses of success surrounded by failure when something can happen and they must be ready. Digital is really helpful for this, I can now roll the spliff and smoke it in the moment whereas in the old film days I had to wait hours if not days to know if I would get stoned. I often feel an image works in the moment but afterwards I am consumed with self-doubt and a sense of complete failure, convinced I have seduced myself into a image that actually lacks any of the intense emotions I felt in its creation in the moment, so then I must just leave it and it sits on a hard drive for months or years until something happens to remind me to return to it and re-evaluate. This image was shot in November 2015, I went see the film adaptation of J.G.Ballad's High Rise and Batman vs Superman this week and felt Mr Irons was worth considering again. This image feels like it is working now, its value is in its authenticity, it is an autobiographical record of a moment that happens to include Jeremy Irons, a curtain, a fridge and a trolly; they possess equal spacial value. It is essential that an image possess some of the chaos of life; tidy and conventional notions of beauty don't represent my experience or anybody else that I know. Thanks as always to all those who help to facilitate these opportunities and support my work, I know I'm a child.